Having written recently about China's food problems, I knew there were some remaining in the Untied States, but their scope amazed me. Each year forty-eight million of us suffer from food poisoning. Over 125,000 of that group are ill enough to be hospitalized and 3,000 die. Having seen those numbers on a government website, I decided to review the modern timeline of food-related illness in America and how our laws help prevent it. My initial thought was of Upton Sinclair's 1906 novel, The Jungle, a powerful expose' of the American meat-packing industry. After its publication, public outcry led President Theodore Roosevelt to appoint a special commission to verify Sinclair's tale of the horrors of meat production in Chicago and elsewhere, and eventually led to the meat Inspection Act of 1906 and the Pure Food and Drug Act. For many years a so-called "Poke and Sniff" system prevailed. The 1907 law said federal employees could inspect and approve (or disapprove) any animal carcasses which were to be sold across state lines. The inspectors could physically monitor the slaughter line, touching and smelling the animals and cuts of meat. They could remove any meat that was rotten, damaged or had abrasions or growths. Some felt that provided only minimal protection for the public, but that's what we had for over eighty years. I grew up in Wisconsin in the 40s and 50s. My father, in addition to his medical practice, was the local Public Health Officer and I remember going to inspect local area dairy herds with his sanitarian when I was a teenager. I don't recall major food safety issues surfacing in those decades., although there may have been some isolated cases that I didn't pay attention to. I was in medical school from 1962 to 1966. During that time, two women died in Michigan from botulism, a rare but extremely serious paralytic disease caused by a toxin produced by a bacteria. In their case the toxin was in canned tuna fish. There were other botulism outbreaks in 1971, 1977, 1978 and 1983 with 59 people being affected in the largest such episode. All were related to food being improperly canned or prepared. In 1985 a huge outbreak of another form of food poisoning happened. This one involved at least 16,284 people (and perhaps up to 200,000) in six different states and was caused by bacterial contamination of milk. Some new laws only applied to a few food items. The Department of Agriculture's food safety and inspection timeline appears to skip over a considerable period of time, although a number of laws were passed to strengthen federal regulation of the food chain. The 1957 Poultry Products Inspection Act and the 1970 Egg Products Inspection Act added to the government's ability to prevent food-related illness in specific areas, but wouldn't have prevented the major food-related episodes I just mentioned. Then in late 1992 and early 1993 an E. coli outbreak sickened 623 and killed 4 children in four western states (Washington, Idaho, Nevada and California). It was eventually traced to contamination of under-cooked Jack in the Box hamburgers with that common bowel bacterium. Those affected developed bloody diarrhea and, in a few cases, severe kidney disease from an entity termed hemolytic-uremic syndrome (HUS). This is a disease which is the most common cause of acute kidney failure in children and usually occurs when an infection in the digestive system produces toxic substances that destroy red blood cells, causing severe kidney injury. 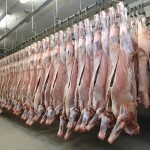 The CDC traced the meat back to five slaughter plants in the United States and one in Canada. In 1998 the USDA introduced a brand-new method for inspecting meat. The "Hazard Analysis and Critical Control Point (HACCP) system had been pioneered by NASA. That agency had protected our astronauts by adopting a system of critical control points, anywhere a germ, invisible to the naked eye, could find its way into a food meant for a space mission. Pinging off the NASA approach, the USDA also mandated inspectors could order meat plants to do microbial testing. 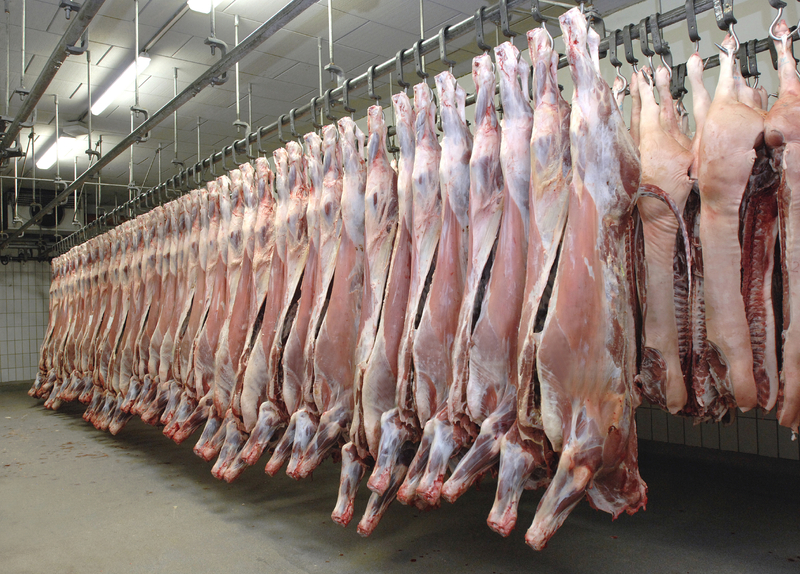 The meat industry became responsible for establishing and submitting their own HACCP plans. Then USDA would review the plan, approve it if it seemed appropriate and inspectors could monitor the plans' compliance with their own safety plans. The problem is the age-old one of the fox guarding the hen-house; inspectors no longer had the power to physically examine the meat on the line. The acronym HACCP was often derided as "Have a cup of coffee and pray." On January 10th, 2014 two articles were published that changed my mind: the first, in UPI.com's website simply said, "U.S. food Safety a big issue in 2014." It mentioned that already in 2014 the U.S. Department of Agriculture had shut down a meat-processing facility in the state of Minnesota. The other online article was written by Dr. Margaret A. Hamburg, the Commissioner of Food and Drugs, i.e., the head of the FDA. 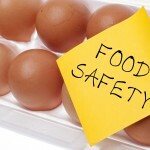 It discusses the Food Safety Modernization Act (FSMA), signed by President Obama in early January, 2011. It was a reaction to the figures I mentioned at the start of this article. This law gave the FDA "a legislative mandate to require comprehensive, science-based preventive controls across the food supply." But let's look at its provisions, some of which make eminent sense and others, in my opinion, ask for the impossible. 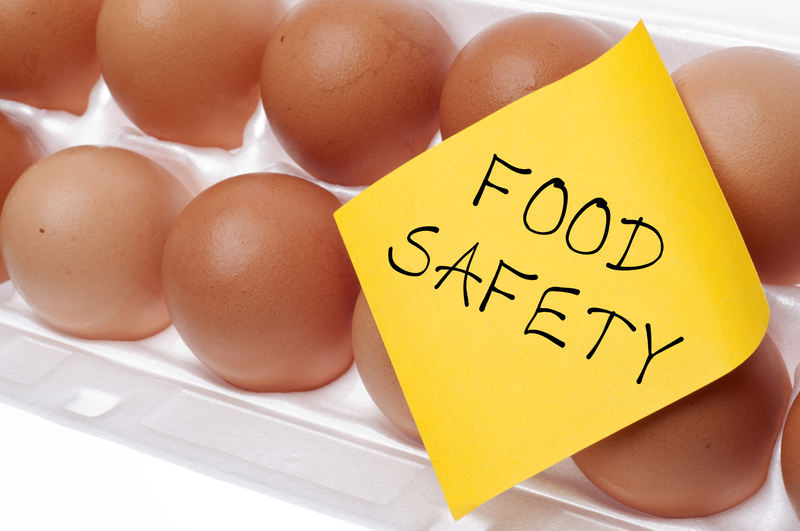 On the one hand the FSMA required food facilities to have a written preventive control plan. I agree with that idea, but note it's a complex process with multiple steps involved. Such a plan includes evaluation of possible hazards, figuring out what one has to do to marked alleviate or totally eliminate them, noting how you will monitor these control measures (and keep appropriate records) and specifying what you will do when issues arise. Oh, and by the way, you had a year and a half to do all that. Other parts of the FSMA involved standards for safely producing and harvesting vegetables and fruits plus another set involving the prevention of "intentional contamination" of food. The latter may be quite difficult. As the law is written, 600 such foreign food facilities must be inspected in its first year with the number doubling for each of five additional years. let's see, that's 600, 1,200, 2,400, 4,800, 9,600 and 19,200. Where in the world would the FDA get enough trained inspectors? And that's assuming that the foreign countries would allow such detailed examinations of their food-producing and exporting businesses. One of every six Americans becomes ill from food-bourne disease each year. Only a small fraction of them (approximately 1/4th of 1%) need to be hospitalized and even of those who do only 2.3% die. But another way of looking at those mortality statistics is to say it's equivalent to almost 10% of the number who die from motor vehicle accidents each year in this country.